We all have our favorite Fiesta Dinnerware colors, but have you ever wondered what color you’re most like? We know we have! 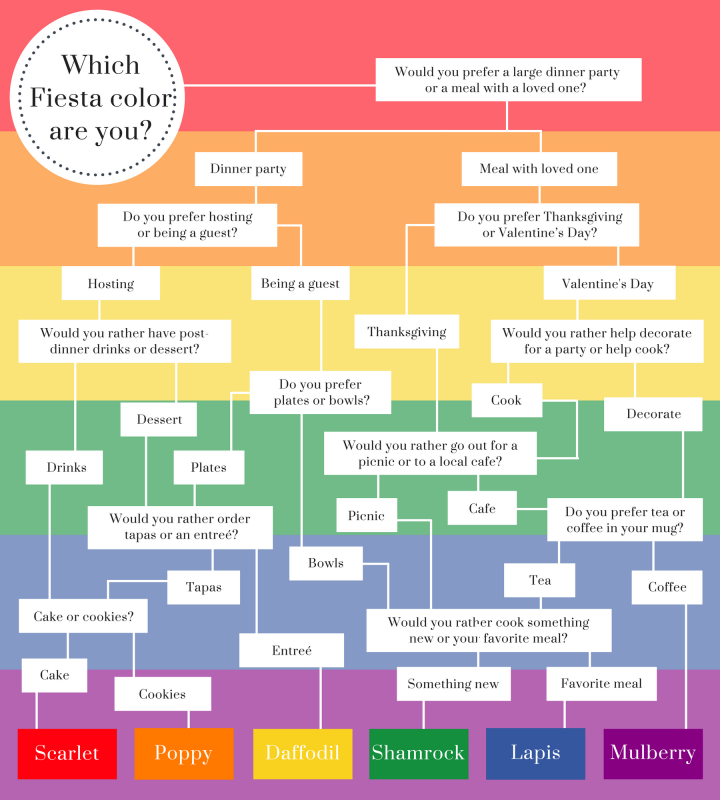 That’s why we’ve put together a flow chart to help you find which Fiesta color you are. Share your answer with us in the comments below, or on Facebook.